IRVINE, Calif.--(BUSINESS WIRE)--Today, CTC Global and Pakistan Cables Limited announced their partnership to produce, distribute, market and sell ACCC® electrical conductor in Pakistan. Pakistan Cables Limited is the country’s first and leading manufacturer of wires, cables, overhead conductors, copper rod, PVC compound and aluminum profiles in Pakistan. CTC Global will provide Pakistan Cables Limited with CTC Global’s patented carbon fiber ACCC composite core in a range of sizes. Pakistan Cables will manufacture and deliver ACCC conductors tailored to meet the needs of Pakistan’s electric transmission and distribution utilities. The agreement between CTC Global Corporation and Pakistan Cables Limited marks the beginning of what is expected to be a long and successful partnership. 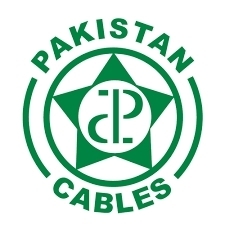 The addition of Pakistan Cables Limited to CTC Global’s growing list of international manufacturing partners will provide improved regional access and customer support for the high-performance, energy efficient ACCC conductor. ACCC conductors have already been deployed to nearly 600 project sites in over 50 countries to help improve the efficiency, capacity, and reliability of electric power grids around the world. CTC Global is the privately held developer, marketer and manufacturer of the patented carbon fiber composite core used in ACCC conductor the high performance, high voltage power line solution. CTC Global serves utility and industrial companies around the world and has provided core used in nearly 600 projects totaling over 60,000 kilometers of power line conductors. CTC Global is headquartered in Irvine, California. Visit www.ctcglobal.com. Located in Karachi, Pakistan Cables is ISO 9001:2015, ISO 14001:2015 and OHSAS 18001:2007 certified. It also has its cables type tested by the KEMA Laboratory in the Netherlands and became the first company in Pakistan to do so. Being the country's first and most reputable cable manufacturer, it was established over 1953 as a joint venture with British Insulated Callender's Cable (BICC), UK. BICC was one of the leading cable manufacturing companies in the world during the time. Pakistan Cables has been listed on the Pakistan Stock Exchange since 1955. Today, Pakistan Cables has earned a reputation of a market leader and remains a leading cable manufacturer in the country - a company that does not compromise on quality. Visit http://www.pakistancables.com.